In our last blog post, we mentioned the inevitable exhaustion that comes with attending a conference. With that exhaustion comes the need for caffeine – and a lot of it. Your hotel will certainly have coffee in the lobby and, sure, your Airbnb host might provide a freshly stocked Keurig, but what’s the fun in that? Where’s the sense of adventure that comes with visiting a new town and finding your own little nook in its caffeinated watering hole? Fear not, Corning has more than enough local options to explore, each with their own way of keeping you caffeinated throughout the day and for the duration of your stay. 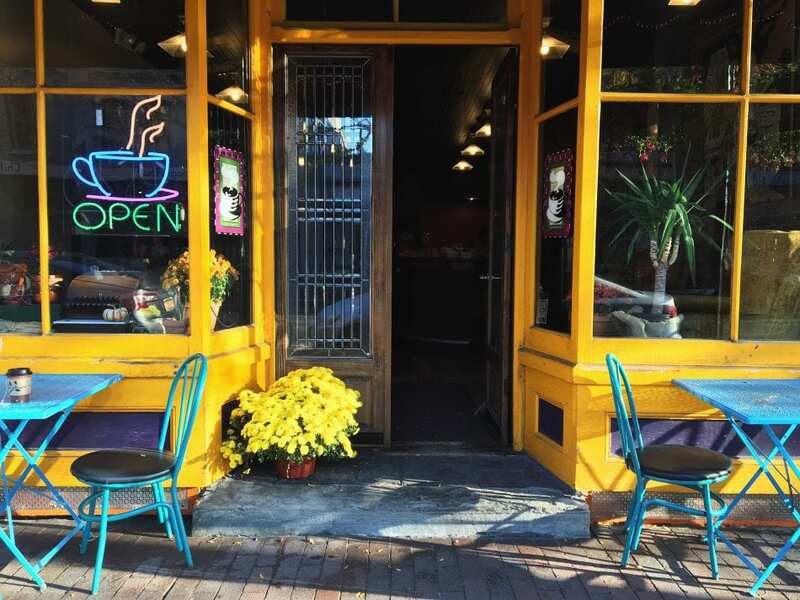 Here are five soulful places to get your caffeine fix in Corning, New York. Poppleton Bakery & Café is conveniently located almost smack dab in the middle of Market Street. As soon as you walk in, you’re met with a self-service coffee bar, featuring a variety of Finger Lakes Coffee Roasters’ signature blends, as well as hot tea, iced tea, and delicious homemade lemonade. You’re going to want to walk right past that and up to the counter, though, where you’ll order an iced coffee. 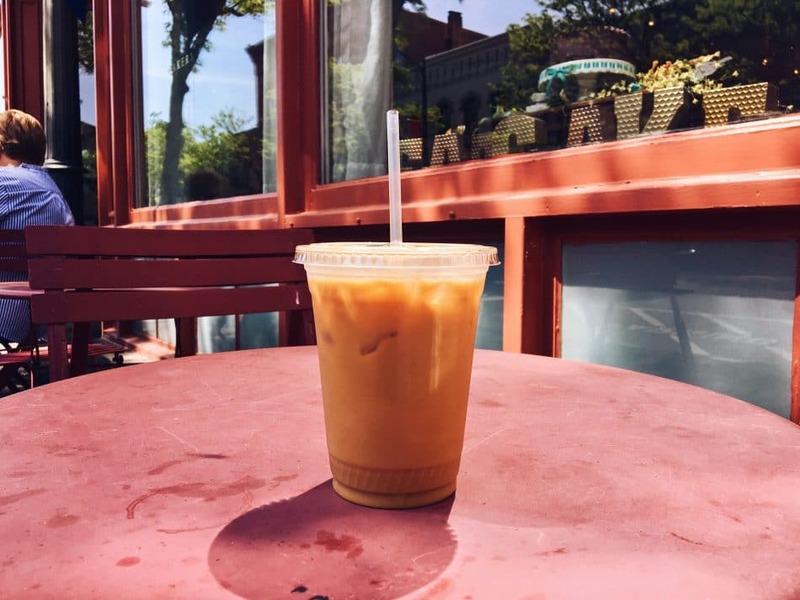 Poppleton’s has incredible iced coffee, making it our go-to warm weather coffeeshop. On the first warm day of the year, we head to Poppleton’s and kick off the season with that first, perfect taste of summer. Pro Tip: Definitely do not leave without trying one of their many made-daily gluten free or vegan bakery items. Also, Poppleton’s large glass storefront and outdoor seating make it an ideal location to people-watch. Soul Full Cup is a Market Street staple, and the premier full service independent coffee bar in Downtown Corning. A variety of specialty coffees, which are perfectly nutty, smooth and aromatic, are available daily, and the house espresso is strong enough to wake an elephant without leaving a bitter taste in its mouth. Soul Full Cup is relatively new to cold brew, and they’re still perfecting their Black Deer cold brew blend, but if you’re lucky enough to stop in when they have some available, you’d better grab a bottle because chances are good that it’ll sell out quickly. Pro Tip: There’s almost always someone sitting in the window on one of the iconic, highly photogenic yellow tufted chairs– perfect for a candid shot or Instagram post. If you’re walking towards Market Street from the Radisson, you’ll be greeted with the tantalizing aroma of roasted coffee. All of Market Street Coffee & Tea’s beans are roasted right in the store, to ensure only the freshest brews are available for customers at its self-service coffee bar. The bar has six different freshly-brewed coffees daily, plus tea, chai, and iced coffee during the warmer months. Market Street Coffee & Tea is much more than just what its name suggests, however. In addition to a cup of coffee, enjoy a selection of handcrafted pottery, local art, whimsical gifts, greeting cards, and decadent candies and chocolates. It’s not just a convenient coffee stop, it’s also the ideal place to find that perfect souvenir. Two words: Drive-thru. Rarely can you find an independently owned coffee shop with a drive-thru, but Heavenly Cup has one. Heavenly Cup distributes its own roasted coffee all throughout the Southern Tier (and beyond! ), and it’s always a no-brainer to order when you see it on the menu in other cafés. They have a large variety of roasts and blends, in addition to several espresso drinks. If you’re staying in the Painted Post area, you’ll definitely want to make Heavenly Cup your go-to coffee stop on your way to the conference each morning. And if you’re hungry, be sure to grab one of their seriously delicious breakfast sandwiches. The Source at Factory No. 2 is a family owned and operated café, chocolate bar, juice bar, basket & gift shop, and full restaurant all in one – making it basically a one-stop-shop for anything you might need at any given time of the day. All of their menu items are prepared with fresh, local ingredients; with vegan, vegetarian, meat lovers, and gluten free options. But alas, we’re off topic. Let’s talk about their extensive beverage menu. The Source brews a few different blends of the above mentioned Heavenly Cup all day long, with hot coffee always ready for your beck and call. In addition to drip coffee, they have an amazing selection of hot, iced, and blended signature coffee drinks on the menu. If you need a break from caffeine, try one of their freshly made smoothies, teas, or pressed juices. The Source is a place that you can visit more than once, and still not experience all that it has to offer. Given this worthy list of coffee shops, if you find yourself in desperate need of energy (or just craving a delicious caffeinated beverage) there are plenty of ways to get your caffeine fix in Corning, New York, and help you power through TBEX North America2018 as well as your fun-filled visit to Finger Lakes! Register for TBEX North America 2018, and join several hundred travel bloggers, content creators and travel influencers for two full days of educational breakout sessions and speed networking with dozens of travel brands. Your registration also includes access to the Opening and Closing Night Parties, a Pre-BEX Tour, and entrance to all other official #myFLXtbex sponsored events. Find complete details on the Event Page. 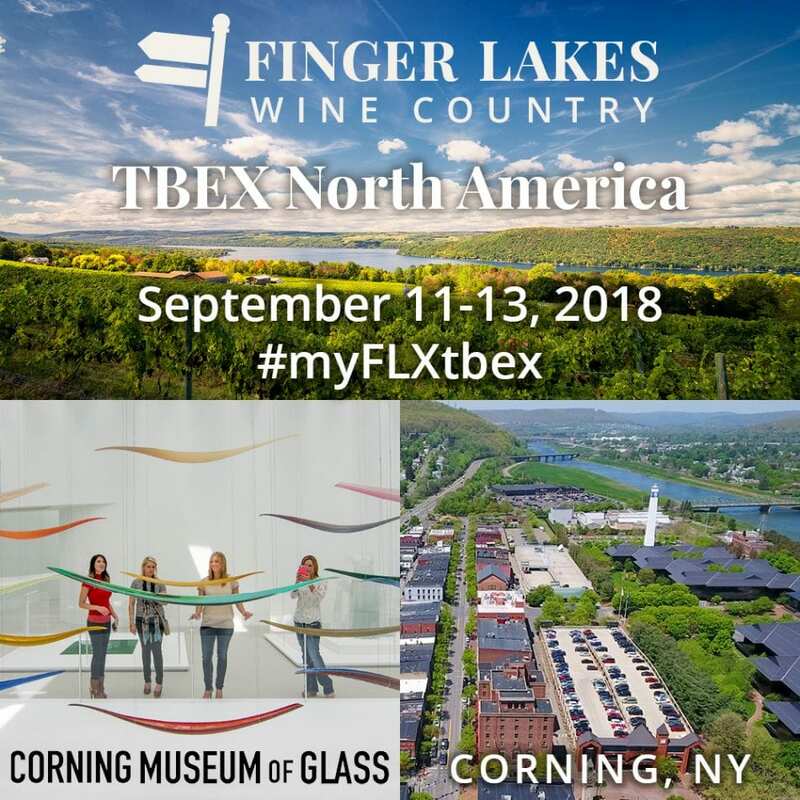 Host Sponsors for TBEX North America 2018 are the Corning Museum of Glass and Finger Lakes Wine Country.